The soldier dies in less than a minute. An enemy Bastion is camped around the corner, staring at the objective so he can shred anyone foolish enough to wander past. 76 — controlled by me — doesn’t even see it coming. Short of some very dumb luck, or preternatural perceptive ability, few could have, which means the majority of players heading into this particular match were destined to die before they could achieve anything. This is all part of the plan, for me and for Blizzard. Soldier 76 may be dead, but the player has access to everything he experienced. I see his life flash before my eyes: the exact location of that walking turret, the number of enemy players that were nearby, the fact that at least one of the opposing team is playing as Genji. I have a bunch of new information at my disposal, meaning my second set of choices — character, team tactics, plotted route — aren’t just guesswork. Should I try with 76 again and bypass the robot by scooting down an unguarded side entrance? Should I switch to Reinhardt and shield my team, waiting for a moment to charge into the insufferable minigun and throw it off its game? 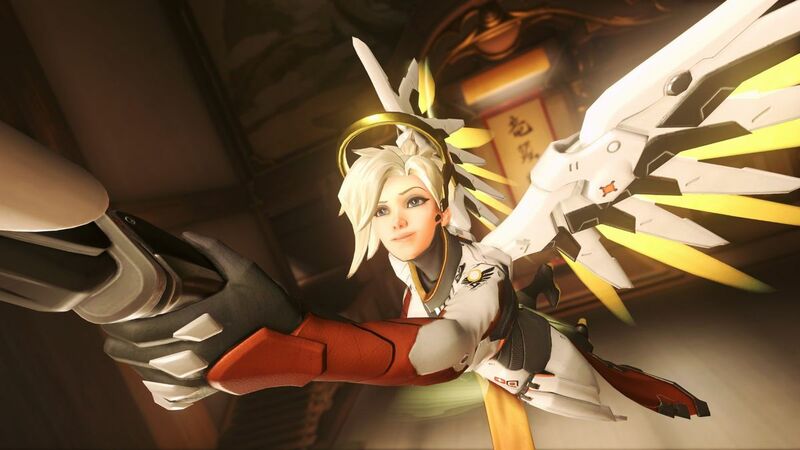 In Overwatch, what you do after you die is arguably more important than what you did before. The average player will die, often, because the game is designed for it. But every player has the potential to learn from failure a dozen times in the space of one match. Get killed, figure out why you died, what killed you, the spatial conditions, and calculate a new strategy that prevents that from happening again. Overwatch encourages you to embrace death in many important ways, all so you can become a better player. First, there’s the sheer breadth of heroes at your disposal. Twenty-plus distinct characters with combinations of unique abilities that are sure to have the solution to whatever problem put you in the ground, provided you can think it through. So many characters means a lot of ways to get taken out, but also a lot of ways to counter the various strategies people use against you. Where in a shooter cousin like Battlefield or a single player environment like Doom dying means reevaluating your strategy against unchanging opponents, death in Overwatch is a chance to throw out your entire battle plan and become a speedy time-traveller, or a human laser. Rather than dying over and over because your opponent is a very good shot and you’re not a very good shot, players can stare at the roster for a few seconds and see the possibilities swim in front of their eyes. Which brings us to the second ingredient: speed. Overwatch matches are fast; 5-10 minutes in most cases. It’s entirely possible to win or lose a game in the space of 10 crucial seconds. That means you need to make decisions fast and often. Bullets and plasma are flying left and right, gorillas are turning your teammates into jam, Junkrat is lobbing grenades at everything on the screen, and you’re acting and reacting with the knowledge that this is exactly where it might be won or lost. Then you die, and the tempo doesn’t let up, but you are given that five second breather while you wait to respawn. Five seconds can feel like an eternity in a game like this, and it’s important to note that — short of hoofing it all the way back to your base in the middle of a fight — this is the only place you can change heroes. Here you can stop, think, plan something new, but it is still only five seconds, so these thoughtful moments never interfere with the pace of the game. You also get treated to your very own Kill Cam — a record of the kill seen from the perspective of your new nemesis — which gives you a new collection of clues about who is doing what to who and how. Viewing their own death shifts, over the course of play, from a self-pitying or rage-fuelling act into a small revision of important lecture material. Death replays are skippable moments, of course, a quick press lets you spectate the game in real time before you are reborn. More learned players will find themselves skipping the kill cams more and more, as their own deaths become transparent in their reasoning and the importance of what both teams are engaged with in-the-now grows. The game’s audio-visual design deserves a lot of the credit here. Overwatch matches are hectic, and when players do have to respawn they need to consider the state of the map, how many of their team are alive, what both teams were playing at last glance, how they were playing, what the status of the objective is and any number of other bits of data. A million calculations — some conscious, many subconscious — flash by in just a few seconds. The cartoon aesthetic means heroes are visually distinct at quite long distances, particularly with their unique silhouettes. Every character’s voice is unmistakable, down to the accents and attitude, and their ultimate attacks are purposely announced with noteworthy but non-intrusive voice lines. Most characters can even be identified from off screen by how their bullets look and sound. Any player can scan the area and have a reliable mental snapshot of the battle, which they can then refer to at the time of their inevitable death. Blizzard have made a big deal about hero switching, and with good reason. The switch is perfectly positioned to take advantage of players’ growing knowledge of the battlefield and desire to help their team (or themselves). Make switching characters impossible once a match begins and you’re punishing people for tactical choices they couldn’t have anticipated, as well as locking them into a play style which may be useless against their opponents. Give players the power to switch whenever, and the arena becomes a chaotic mess, where strategies are tossed away in seconds and less twitchy players are trampled. The moment of death is important because it means something went wrong. Maybe it was your own unsuccessful strategy, maybe your team let you down, maybe the enemy found a weakness in your lineup. Whatever the reason, players close a loop with their death, and open a new one as they respawn. They experience a segment of gameplay in which there are a series of interactions with allies and enemies, are taken out of the fight, and immediately get the chance to evaluate that performance with a view to improving the following loop. These loops allow death to be a true learning experience, rather than a punishment. Carrying yourself through a battle unscathed is satisfying in its own way, but there’s little instructive power in success. Overwatch keeps its loops contained and definitively closed by focusing on player death, and creates the potential for a far more satisfying experience when we finally learn to bend a problematic situation in our favour. Match after match, we learn to view death not as a roadblock, but as a window to myriad solutions. The game uses that peculiar notion, unique to video games, to build teachable moments into speedy rounds of competitive gunfighting. It’s why you hear so many players say Overwatch is fun, even though they’re not very good at it. It’s fun to play when you’re losing because the game is always putting a hand on your shoulder, offering you some sound advice and giving you a chance to get back out there. 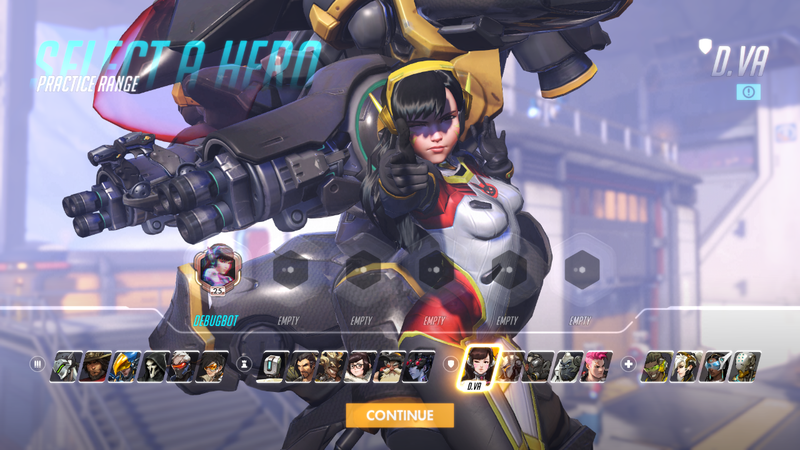 It’s how you can enter a match with four opposing players using D.Va, get stomped repeatedly and continue to think about hare-brained strategies to win, rather than screaming at the screen and quitting in a huff. It’s why smart money knows Bastion isn’t overpowered, he’s just an unsolved problem on your map. Overwatch, just like Batman’s dad, knows that we fall so we can learn to pick ourselves up. Dying is part of the game.